In last year’s race preview, I remarked that Mount Sentinel is where glory is won for Missoula runners. Most often, this involves training. But on a couple of rare occasions, it’s also a race course—and the Pengelly Double Dip is Missoula’s most iconic trail race. It’s on our mountain, it’s exactly a half marathon, and it gains over 3,000 feet in elevation. Besides Sykrunning, there are few short trail runs that gain the vertical of the Double Dip—and even fewer that start and finish in the middle of a city. The Pengelly Double Dip is a special race and we’re lucky to have it on our own mountain. Over the years, it’s drawn some of Montana’s best, so it was a given that this year’s race would be another fast one. A number of speedy guys toed the line, but the women’s race provided the real show. Some of Montana’s best female trail runners battled it out from start to finish, and after all was said and done, only a few minutes separated the top five, with just seconds deciding the winner. In all but three years of the Double Dip’s 13-year history, this year’s fifth-place finisher would have easily taken the win. Making things even more impressive is that we’re in the midst of a heat wave that forced a half-hour earlier start than normal. This adjustment by race management made things a bit more comfortable in the early miles, but the sun still pounded runners on University Ridge. Nicole Hunt’s 2015 course record stood for another year, but high school freshman trail phenom Ella Degrandpre came out on top this year by just 2 seconds after employing a "sit and kick" tactic to pull ahead of Amy Friedman right before the line. Marilee Woyth, Nicole Hunt and Christi Richards all came in under 1:58. 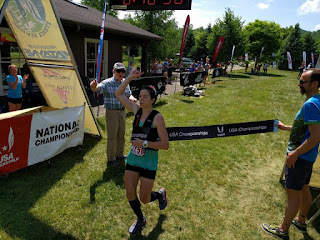 To put their runs in perspective, current U.S. Mountain Running Team member and MTC’s own Kristina Pattison (see below to hear about the big event she took on this weekend) ran very well here in 2014 to take the win in 2:01:41. Yes, these were some amazing performances. I had the good fortune of pulling out the win in the men’s race. Fellow Missoulians Forrest Boughner (second) and Brendan Halpin (third) were breathing down my neck to ensure that I didn’t let up and ran hard the whole way. It was fun to test the legs on our local training grounds. This year’s Pengelly races also featured the traditional Single Dip and the inaugural V-Dip, which involved an up-and-down of Mount Sentinel and its 2,000-foot vertical climb in about 8K. Run Wild Missoula and Runner’s Edge wrapped up Pengelly by generously hosting a huge party for the trail running community at the Marshall Mountain Trail Festival on Saturday evening. Much more than an awards ceremony, this second-year festival featured demos from various running shoe brands and a strength and conditioning presentation from Montana ultrarunner extraordinaire Mike Wolfe and Olympian Courtney Babcock, the Canadian national record holder in the 5K and 10K. Speaking of strength and conditioning, big news in the Montana trail world this week involving Mike Wolfe is the launch of his latest professional endeavor, The Mountain Project. Opening as a gym in Bozeman this fall, Mike intends to operate this mountain sports training center as a home base for coaching and training of mountain pursuits gleaned from his lifetime of adventure around the world. As most Montanans know, Wolfe has competed in—and won or placed on the podium at—the most competitive trail running events in the world. But his racing prowess is really just scratching the surface of his athletic/adventure background. His life experience includes bow hunting elk in the Montana backcountry, paddling to the Arctic, climbing first ascents in Patagonia, and running through hundreds of miles of wilderness. Mike knows conditioning and his new project is sure to have a profound effect on athletes looking to take their own mountain exploits to another level. Expect The Mountain Project to make Montana a national destination for mountain athletes looking to up their game. We look forward to seeing how it plays out. Read a Q&A about strength and conditioning with Mike here. A big shout-out goes to Kristina Pattison for her own achievement this weekend. 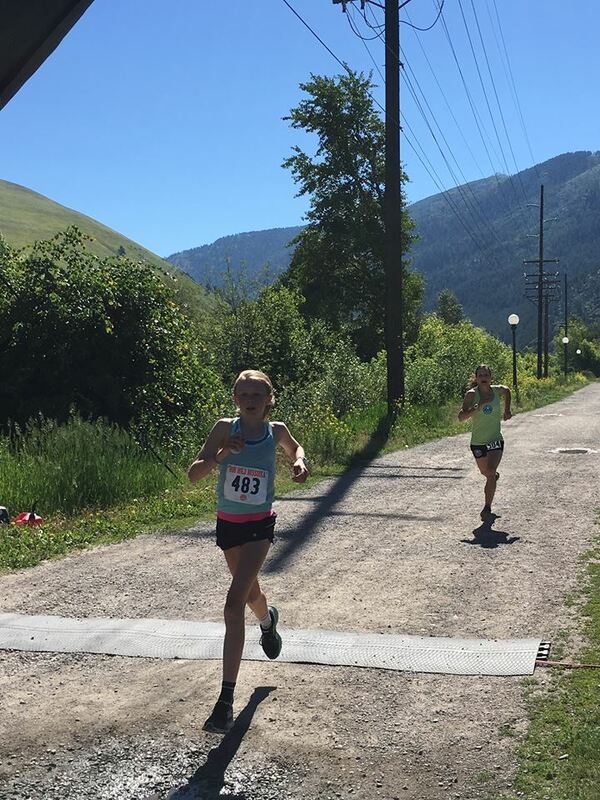 Although we would have loved to have seen her duke it out on the Double Dip course, she had bigger goals in mind and once again made Missoula proud with a strong run against an international field, this time at the Madeira Skymarathon Ultra. This Portuguese trail event drew some of the top Skyrunning athletes in the world and Pattison showed once again that she can throw down with the best of them. Her very solid sixth-place finish there bodes well for what is sure to be another busy racing season for her as she looks to make her mark internationally. 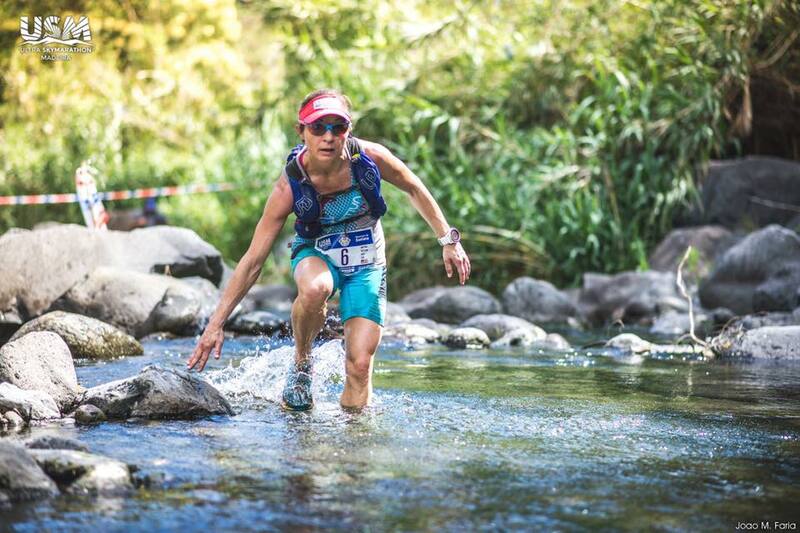 She next races for Team USA at the World Long Distance Mountain Running Championships in Slovenia on June 18. Although she's no longer living in Montana, longtime readers of MTC Weekly News are sure to remember Corrine Malcolm. Last year, while a Bozeman resident, the former Team USA biathlete took podium finishes at a handful of trail runs in Montana. 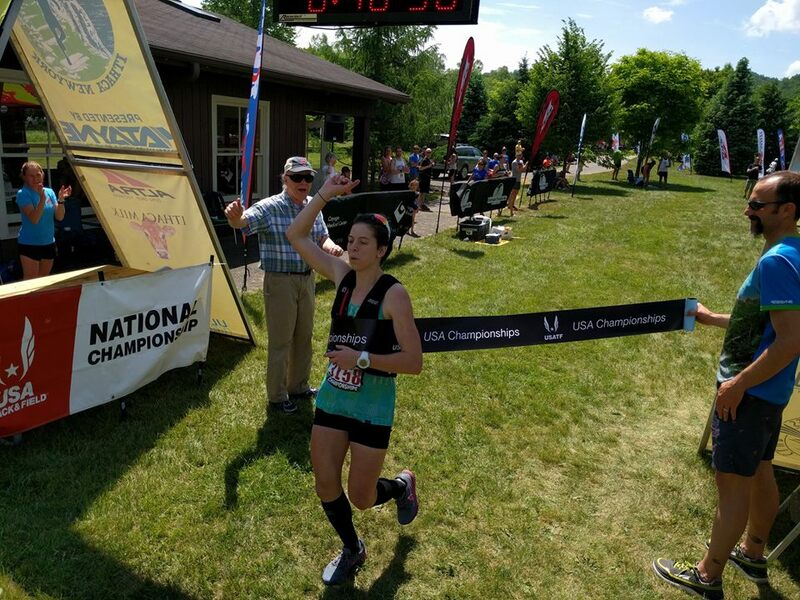 She recently moved away to pursue a doctorate degree, but I’d like to offer her some huge congratulations for winning the USATF 50 Mile National Championships this weekend at the Cayuga Trails 50 in New York. With her national title, Malcolm punched her ticket onto Team USA for the IAU World Trail Championships in Geres, Portugal. Way to go, Corrine! We'll be cheering for you from afar as you compete on the world stage. Finally, we're looking for writers to contribute to Montana Trail Crew. We envision the blog becoming an important community resource beyond what it already is. So if you have a story to tell, a race report to share or whatever else you think would be a good fit for this site, send me an email. I hope to get back in the habit of posting the Weekly News regularly, so stay tuned. I'll usually try to get it up by Monday or Tuesday. Happy trails!